Doesn't sound like the Dion Phaneuf market is too hot right now, but this can be largely chalked up to the glut of elite left shot defensemen hitting the UFA market this week. 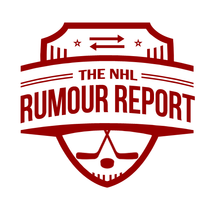 Teams that would show interest in Phaneuf will circle back later in the summer if they can't get one of the top defensemen on the market. Despite rumours that Mike Babcock wants to coach him, I still think Phaneuf would welcome a change of scenery after last seasons' debacle. It's been widely reported that Marty St. Louis' preference is to stay in the northeast United States but I believe he will expand his list to include all of the Eastern Conference if need be.